FIRST CONCERT JOY - "I am so excited. 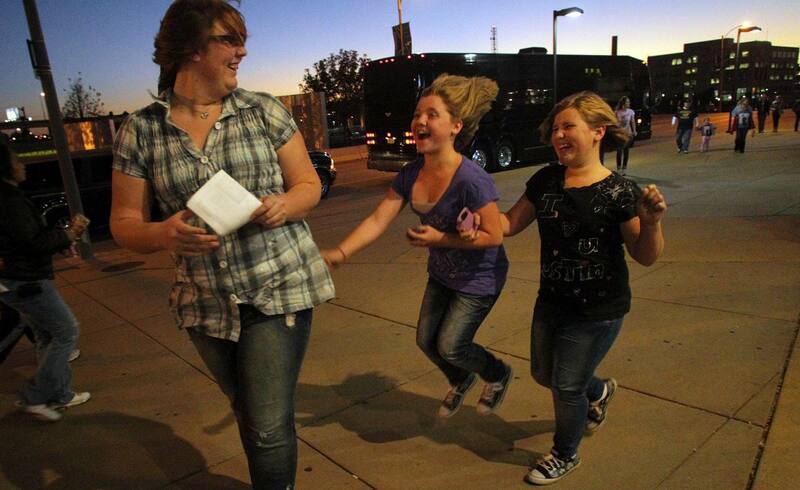 I am literally gong to be breathing the same air as Justin Bieber," shouted Donna Magers,11, of Wood River, Illinois (center) who attended the Justin Bieber "My World" tour concert Monday night at the Scottrade Center. Magers is flanked by her cousins, Rauchelle Belair and Emily Belari,11, of of Wood River. It was the first concert for all three of them.